Explanation: Hot gas is hard to swallow. At least that seems to be true for the supermassive black hole at the center of our Milky Way Galaxy. Known as source Sagittarius A*, the Milky Way's black hole is centered in this infrared (red and yellow hues) and X-ray (blue) composite. Based on data from an extensive campaign of observations by the orbiting Chandra X-ray telescope, the diffuse emission surrounding the black hole is seen in the close-up inset, the inset field spanning about 1/2 light-year across the galactic center some 26,000 light-years away. 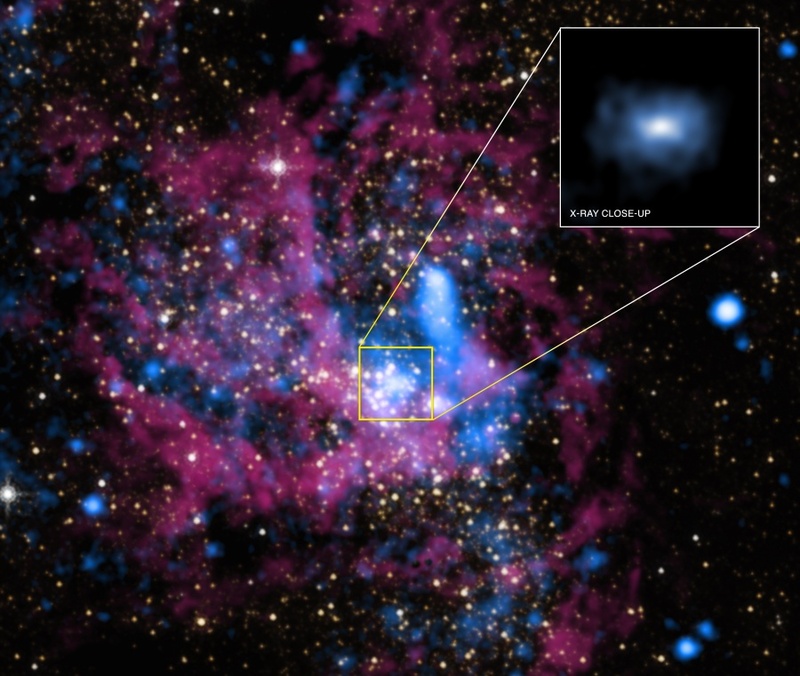 Astronomers have found that the X-ray emission originates in hot gas drawn from the winds of massive young stars in the region. The Chandra data indicate that only about 1% or less of the gas within the black hole's gravitational influence ever reaches the event horizon, losing enough heat and angular momentum to fall into the black hole, while the rest of the gas escapes in an outflow. 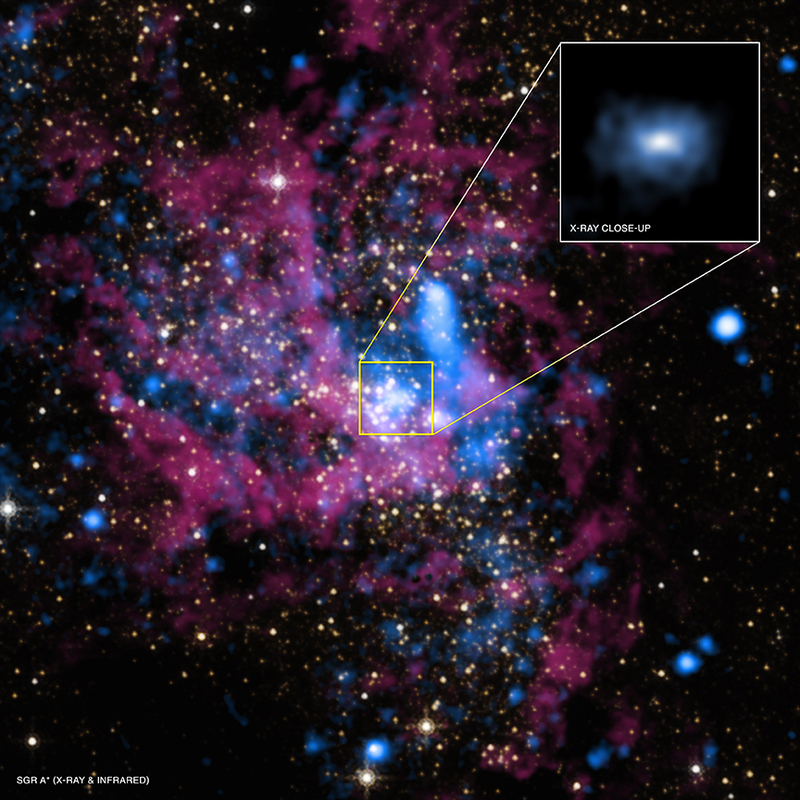 The result explains why the Milky Way's black hole is so quiet, much fainter than might be expected in energetic X-rays, The finding seems to be true for most supermassive black holes in galaxies in the nearby Universe.